It’s been approximately a year since the passing rising rapper Lil Lonnie. XXL previously reported that the 22-year old artist lost his life following a deadly shooting in his home Mississipi. The late artist rose to prominence following the release his mixtape They Know What’s Goin’ On, a critically acclaimed project which went onto becoming LiveMixtapez‘s biggest release that year. Since his passing, a thorough police investigation was launched to catch the perpetrators behind for the slaying. According to XXL, the police have finally made some arrests in connection to the late rapper’s murder. The 16 WAPT News report indicated that the Jackson Police Department apprehended two men, Monya Davis, and Antoine Carr before charging them with Lonnie’s murder. Carr was first apprehended last March in Texas and since routed back to Mississippi. Similarly, Davis was also caught in Texas earlier this month and sent back to Mississipi to face his fate. Both individuals were denied bond, based on direct confirmation from Jackson Police Department head James Davis. With these two men now under police custody, family and friends Lil Lonnie may find peace in knowing justice could potentially be served in the case the late rapper’s passing. Rest in peace, Lil Lonnie. Yesterday, 50 Centlaughed at the fact that Teairra Mari had another arrest warrant set out against her. The Love & Hip-Hop star has adamantly told 50 Cent that he will never see a dime her money after he won a lawsuit against her. Although she may not want to pay up, the legalities the situation have forced her to give up $30K her own earnings to fund Fiddy’s attorney fees. 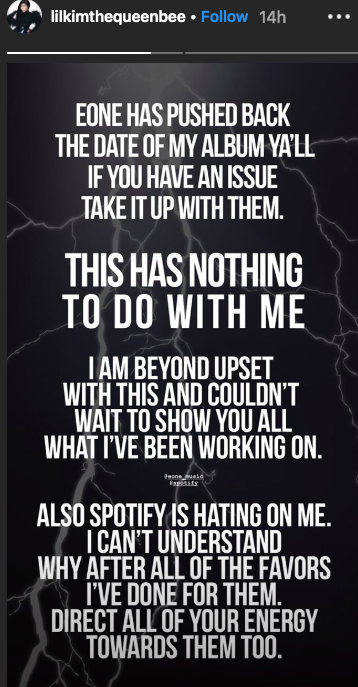 The feud has gone back and forth for over a year and now, Teairra is starting to use it for her own financial gain, dropping an album titled I Ain’t Got It and showing fans the cover art recently. With a warrant now out for her arrest, the reality star does not seem pressed to change her behaviour. In fact, she’s still taunting 50 whenever an opportunity presents itself. Yesterday, shortly after it was revealed that she failed to show up in court, Mari shared her album cover for the forthcoming I Ain’t Got It, which is likely going to be filled with diss tracks against 50 Cent. The art shows Curtis Jackson in his car, racing after the singer who is running “Forrest Gump” style. She made sure to let fans know that her album is “coming soon” in the caption. At this point, it feels like this feud will never reach its endpoint. Unless Teairra actually gets sent to jail, in which case 50 Cent will probably tire himself out quickly with memes. 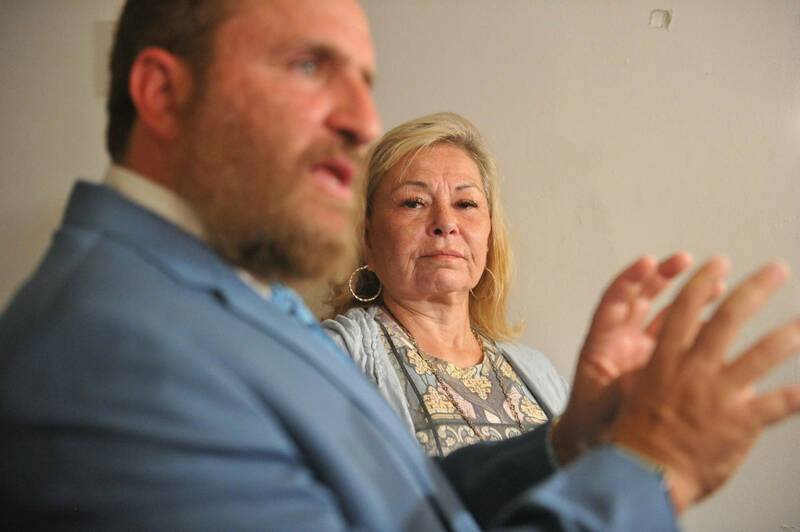 Former television star Roseanne Barr ruffled feathers on social media again after nearly a year having her show canceled by ABC. The comedy-series Roseanne was revived with a spin-f The Connor’s last year and quickly canceled following a racist tweet shared by Barr. Despite her minimizing the tweet to a joke poor state, the public along with ABC executives thought it sufficed to get her all the way out here. Since getting dropped from the sitcom, the stand-up comedian took it to social media to wish everyone a Happy Easter last weekend. In true Roseanne fashion, however, the 66-year old star did not leave it at that. In a video shared through her personal Youtube channel, the television personality went on a weird rampage against God and fellow stand-up comedian Owen Benjamin, whom she called a “f*g.” But wait…there’s more. To make matters worse, Barr gifted us with a second video where she highlights her previous use the word while also confirming she uses it privately. To somewhat redeem herself, she categorized herself as being queer but then retracted the statements by emphasizing she did not mean so in a coming-out way. And it only gets weirder as Roseanne breaks down “I’m queer, I’m alien, I don’t belong here with all these people. They make no sense. They are very queer. And that makes me a queer, I guess. But I did put the Q in it. Bye!” Finally, to follow up on the other odd videos, she posted yet another even stranger one entitled “Malcolm X.” In the latter, she ridicules the previous videos, chimes in on not being racist and speaks on the monopoly surrounding the use fensive words. Things have ficially gone from bad to worse for YNW Melly. As reported by TMZ, the Florida-born rapper is facing the death penalty in his double-murder case. 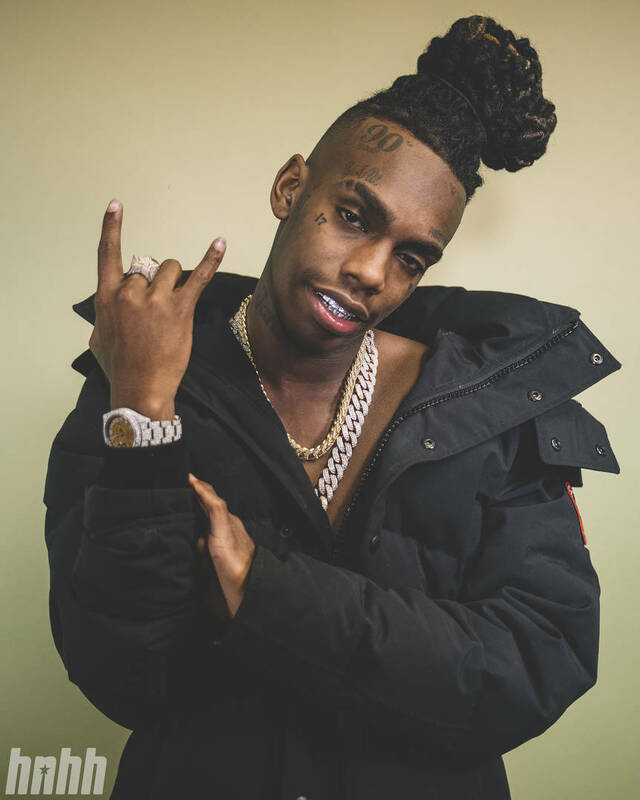 The young artist has been charged with the killings his two friends, YNW Juvy and YNW Sakchaser, and he has since pleaded not guilty with his associate YNW Bortlen. The State Florida is reportedly looking to punish the rapper by taking away his life, seeking the most serious consequences with the death penalty. New legal documents reportedly make it clear that the State Florida is looking for the death penalty in Melly’s court case. The papers note that the state believes they can easily prove that Melly killed his two friends for financial gain and that he committed premeditated murder in an especially “heinous, atrocious, or cruel” manner. The State Florida is also reportedly convinced that Melly is a gang member. Police have said that YNW Melly and YNW Bortlen organized the shootings their two friends, staging it as a drive-by before driving around with their dead bodies in a car and finally bringing them to the hospital. Cops also say that Bortlen and Melly shot up their own car to make it appear as though they were also targeted. Do you think the death penalty is too harsh? Avengers Endgame is less than a week away. If you’ve been able to avoid spoilers for this long, we don’t suggest looking for them now. Although, several minutes footage have leaked online, and I hear that they are filled with very heavy spoilers. Thanos demands our silence though, and so have the Russo Brothers, who directed the film. It was long thought that Endgame would be the end phase 3 for Marvel, and that Spiderman: Far From Home would jump-start the next phase. It appears we were wrong. The Infinity Saga, which is comprised every MCU film from Iron-Man to Endgame, will now ficially end with Far From Home. As reported by ScreenRant, Marvel Studios head Kevin Feige was speaking with a reporter at the Chinese Avengers: Endgame event when he broke the news. “It’s the end the third phase,” he said about Far From Home. “You’re the first one I’ve told that to.” Check out the video below, at the 30-second mark. As far as phase 4 is concerned, Marvel has yet to make any ficial announcements. We are sure they will come soon after Endgame arrives. Black Widow, Black Panther 2, Doctor Strange 2, The Eternals, Guardians the Galaxy 3, and Shang-Chi are all rumored to be next on the slate releases. The senseless rhetoric over Boxing’s pound-for-pound king doesn’t matter to those doing the fighting. Entering Saturday night’s boxing showcase at Madison Square Garden, Terence Crawford was among the 2-3 names being circulated for the sport’s highest symbolic order, the others being former Olympic gold medalist Vasyl “The Matrix” Lomachenko, and lineal middleweight champion Saul “Canelo” Alvarez. After securing a 6th round TKO his opponent last night, the debate over boxing supremacy isn’t any closer to sorting itself out. Not until they all meet in the middle at a predetermined catchweight. As for Amir Khan’s plight in the contest, no one can fault him for accepting P4P contender, even though Crawford’s utter dominance will effectively emasculate him in the process – but only to the casual boxing fan who doesn’t understand the guts, it takes to enter the ring (in the first place). In the end, it was an accidental low blow administered by Terence Crawford that allowed Khan’s trainer Virgil Hunter a moment reprieve – where he plainly asked his fighter if he had it in him to continue. Referee David Fields thereby put a halt to the contest with the 6th round put on a temporary pause. To his credit, Amir Khan took his bow, when he could have just easily complained about the accidental punch(es) to his loins. “I want to apologize to all the fans. The fight was just getting interesting,” Khan said. “Terence is a great fighter. I’m not taking anything away from him. I now realize why he’s one the best pound-for-pound fighters in the world.” Crawford for his part is looking forward to the challenge he might face in unifying the welterweight straps held by the Shawn Porter, Errol Spence and Keith “One Time” Thurman’s the world. This is an exciting time for boxing in America, do take notice. As you’ll recall, Laura Ingraham mocked Nipsey Hussle in the moments after his death, after incorrectly sourcing YG‘s part on “FDT” in a defense tirade Donald Trump’s “spotless record in fice.” This is the same Fox News pundit who insisted that LeBron James “shut up and dribble” because she didn’t agree with the way he’d gone about politicizing his free speech. As a result the remarks she made against Nipsey Hussle, a whole slew public figures once again called for her head. Justin Bieber called for her termination, as did The Game by speaking on behalf the greater “we” representing his LA constituents/hip-hoppers. Tory Lanez‘ response on the matter elicited pejorative language. To put it bluntly, no one on this side the ledger stands for any Ingraham’s unlearned talking points. Although DJ Quik is one hundred percent in agreement with the other outspoken members the hip-hop community, he thinks Laure Ingraham should hold onto her job for one particular reason. In speaking with TMZ in his backyard Los Angeles, DJ Quik told the field reporter that Ingraham ought to “eat crow” for a couple weeks instead losing her job with immediate effect. The reason being: the mass media has the memory a fish, so it might be best to let her stew in the consequences a little longer until they become etched into our collective consciousness. Makes sense don’t it? Quik alluded to another major networking whose actions were quickly swept under the rug after being fired over controversial blackface remarks. “Don’t fire her like they did ole girl from NBC,” Quik said in reference to Megyn Kelly, who famously came away with a $30 million settlement package after Fox News forced her exit without taking the proper legal steps. Star Wars and Respawn Entertainment are working together, which is a great thing. Respawn is the company behind Titanfall and Apex Legends, two highly addicting games. Although both those games are first-person shooters, Respawn is switching gears for their next release. Star Wars Jedi: Fallen Order is an action-adventure RPG, and after teasing the project on Twitter, an ficial trailer has been released for the game online. The first trailer for the Respawn developed, EA backed game looks promising. The trailer follows a mysterious hero who is living in hiding after the events Revenge the Sith. After the Clone Troopers murder the majority Jedis in the universe, the protagonist the game reverts to living a normal life. He appears to be succeeding at staying undercover until he uses his control over the force to save a co-worker from certain death. That’s when things get complicated, and the trailer dives into an adventure. Emperor Palpatine, who will be appearing in the upcoming Rise Of Skywalker film, also makes a cameo in Star Wars Jedi: Fallen Order. The boss villain is making one powerful comeback in the Star Wars universe. Star Wars Jedi: Fallen Order launches on November 15th but gamers can pre-order the title here.